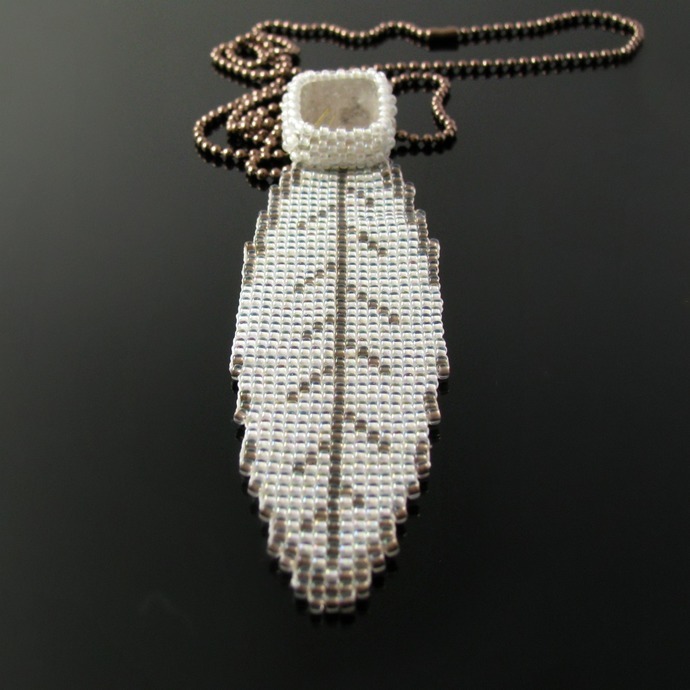 The white feather pendant is an own design of mine. 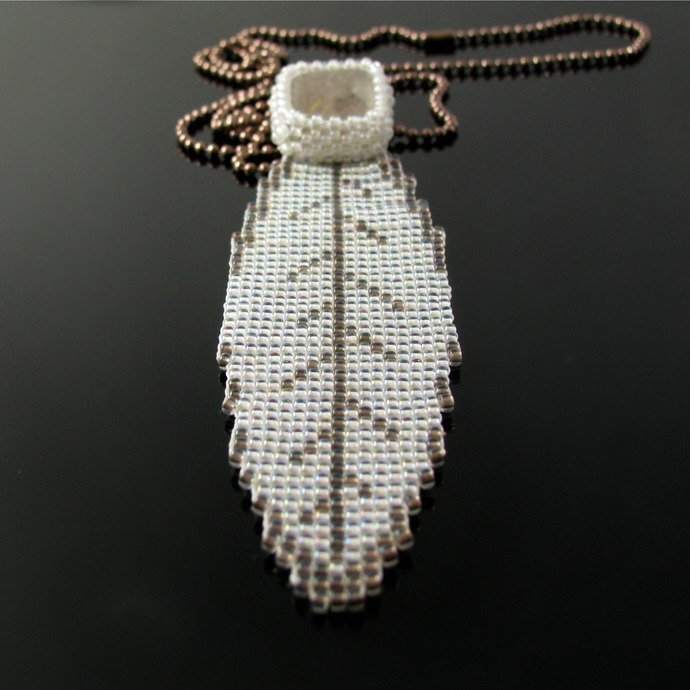 The feather is bead loomed from white and taupe lined crystal seed beads. 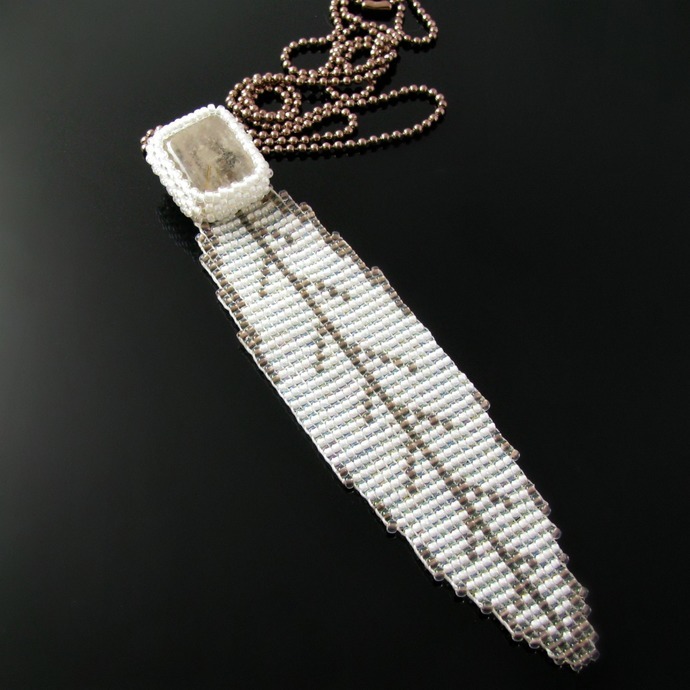 The white beads which have an AB finish also appear in the peyote setting for the rutile quartz cabochon which picks up the taupe color of the beads and is sewn to the feather's bail. The pendant is 12.5 cm or almost 5 inch and comes on a 70 cm or 27 1/2 inch gunmetal ball chain which can be shortened. You'd like a differently colored feather and cab? Let's talk!